For the past three years, we've partnered with families throughout eastern Congo. We seek to establish family permanency, independence, and sustainability. Of the 55-80 children we work with each year, we have reunified 24 of them with their extended family members or local, foster Congolese families. Our objectives include bringing the reunified families out of their situations of extreme poverty which led to family disruption in the first place. One part of this process is to offer small business start-up capital along with a one-year-long business training through Alternativ Global Entrepreneurs. 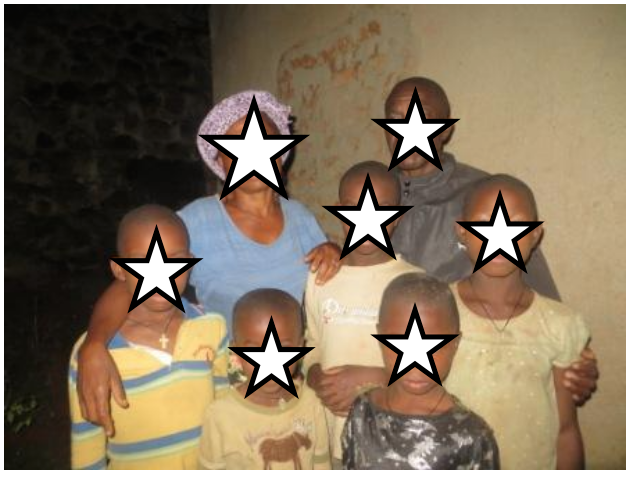 The family is monitored by our Congolese program manager as well as our Congolese social worker. In addition, Alternativ conducts data collection on each family's outcomes after the business training. These families have been identified over the past two years because they are the children's nuclear or extended family or they are willing foster families. They have gone through extensive assessment for child safety, parenting, training, and counseling before being reunified with their children. While these families have been reunified with their children, their situations remain quite desperate. Our social worker in Eastern DRC has conducted research into what kind of business each family could start, given their skills and their surroundings. We are now looking for sponsors to help us provide this business training and start up capital to these families. For the safety of our families, we do not post photos of their faces.